The professionals at The Gut Authority specialize in taking care of patients with abnormal stomach conditions. We want all our patients to know that we really care about their health. If you are struggling with your health, let us help you discover functional nutrition in Daphne. It is very important that once you are diagnosed with an abnormal stomach condition that you take the necessary steps for your health. These steps include proper nutrition, exercise and much more. With our professionals by your side, you will never be alone and will have the support that you need. We want you to know that you do not have to go through these life-changing situations alone. Our doctors are here for you! Our doctors work hard to take care of our community in Daphne. Daphne, Alabama is located in Baldwin County. It is located 11 miles East of Mobile. 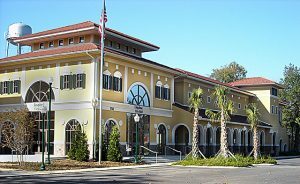 This city is one of the most popular places to visit in Baldwin County. Having the beach nearby is a great way to get motivated to exercise. You can enjoy a day out on the beach with your family while getting in the exercise and fresh air that your body needs. Please visit our city page or our Chamber of Commerce website if you are looking for more ways to have fun. The professionals at Daphne Functional Nutrition want you to visit our office! We are here for our patients in Daphne and neighboring communities! Please give us a call today.